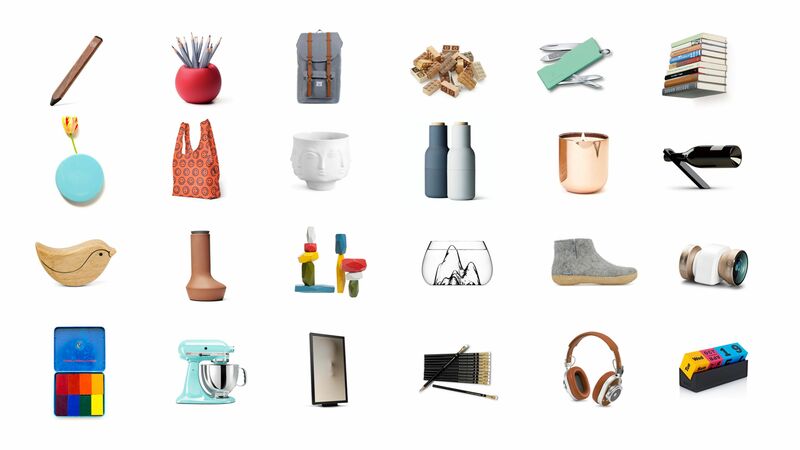 A curated space for Amazon’s best products. Canopy is a platform that features Amazon’s most beautiful and functional products. Discover the best stuff—curated by a community with great taste. Canopy’s platform is thoughtfully maintained by real people who care. It’s also a community hub where people can share their personal taste with friends. Seamless integration with Amazon and a delightful experience across devices. Be an artistic and inspirational destination for people. Provide quick solutions for people looking to buy gifts. Connect with the community through content strategy. Amazon has great prices, fast shipping, excellent customer support, and a massive catalog. As a tool that works directly with Amazon, Canopy needed to continue to enhance that experience. 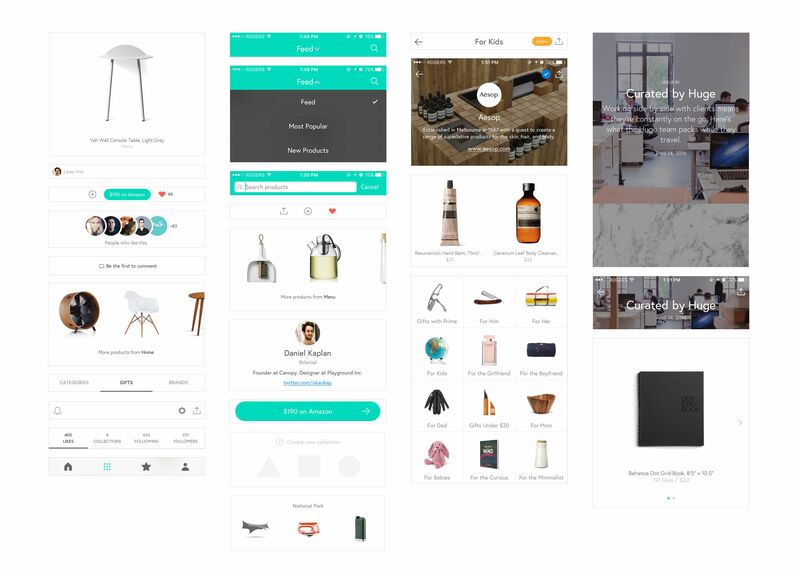 We established a fully featured app that leverages deep linking to work right alongside your Amazon account, helping you quickly find the items you want exactly when you want them. 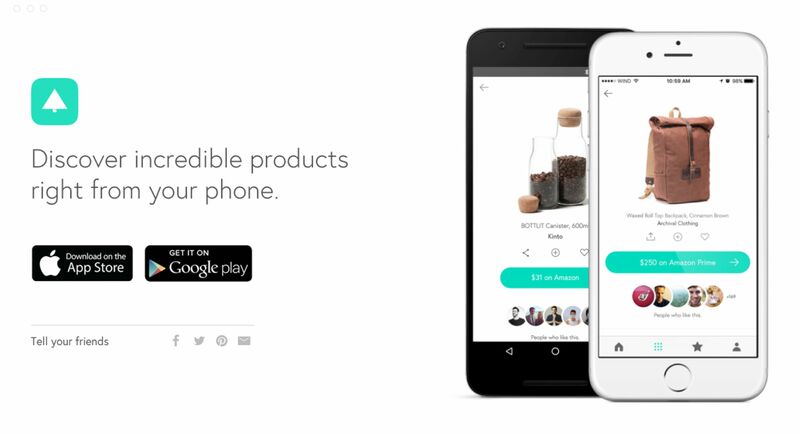 Canopy is a place that helps you organize the products you want and those you already own. It’s meant to be a destination for industry and inspiration. We worked with artists, photographers, musicians, and brands to tell stories about the products that help them do their jobs every day. This offered users a glimpse into the toolkit of some of the world’s most impactful and influential artists, all rolled into a unique shopping experience. We created the Canopy Gift Finder to help people pick the perfect gift for their loved ones. Using a mad libs approach to the input form, we were able to implement a system that would learn who the gift is for, the types of activities that interest them, and topics they enjoy. Along with the product design and development, Canopy wanted to improve their marketing and customer engagement. We developed a comprehensive content strategy for ongoing support on Instagram, Twitter, and email. Our most beautiful products would grace the feeds of our followers daily, pushing them to bring more beauty into their daily lives.